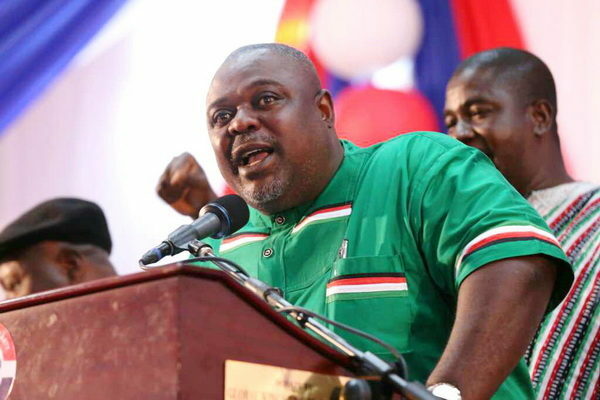 Koku Anyidoho asks: Should we continue renewing contracts of public servants due for retirement? As a firm believer in Charles Darwin’s “Evolutionary Theory, I cannot hold back the fact that if we do not evolve as a nation, we shall surely atrophy and pale into insignificance. Indeed, it is in holding on firmly to the belief in the theory of evolution, which has sparked my thinking in the direction of the possible need as Nation, to take another look at a particular section of ACT 527 of our 1992 Constitution. The Five Hundred and Twenty-Seventh ACT of The Parliament of Ghana, entitled, “THE CONSTITUTION OF THE REPUBLIC OF GHANA (AMENDMENT) ACT, 1996, which has 16th December, 1996, as the Date of Assent, made certain amendments but of interest to this written piece of mine, is that which was made to Article 199. “(4) Notwithstanding clause (1) of this article, a public officer who has retired from the public service after attaining the age of sixty years may, where the exigencies of the service require, be engaged for a limited period of not more than two years at a time but not exceeding five years in all and upon such other terms and conditions as the appointing authority shall determine”. It is a matter of public knowledge that in line with not allowing our constitution to be stuck in the mud of a Palaeolithic way of doing things, upon assumption of Office, President Atta-Mills set up a Constitutional Review Committee (CRC) headed by the respected Professor Emeritus Albert Fiadzo, to take another look at aspects of the 1992 Constitution. As an Aide to President Atta-Mills and also as his speechwriter, I had to be conversant with the workings of the CRC, and because of that, I built a warm working relationship with Dr. (now Professor) Raymond Atuguba, who was the Secretary to the CRC. If it was possible for the CRC to review the totality of the 1992 constitution; what stops the Nation from re-looking at clause (4) of Article 199 and ask ourselves whether it is serving us well or not? The major trigger of this written piece, is to ask the question: Does it continue to serve the nation well if we allow politicians to be the “appointing authority” that has the right to give contracts of up to five years to some chosen public servants who attain the retirement age of 60? More specifically, is it a proper practice for politicians to be extending the working period of police officers or security personnel who have reached the age of 60? Are we doing our governance process any good by allowing men/women in uniform to be at the mercy of politicians who become the “appointing authority”? Policemen/women do not get appointed into the Police Service; by and large, they qualify to join the Service after they go through the rigorous recruitment and training exercises and so once they are below the retirement age, irrespective of how they got recruited as well as their ethnic and political biases, we can grant them the fact that they are professional men/women who work in the supreme interest of the State. However, when you have a senior police officer who is given a contract to stay in office by a political “appointing authority”, how can you vouch for the professionalism of such an officer? Will that officer be able to say that he or she is in office as a result of professional merit? Certainly not! Is it not enough that Politicians, when in power, have the right to appoint their favourites to head the security agencies? Why should politicians also have the power and authority to extend the working period of their choice appointees via clause (4) of Article 199 of the 1992 constitution? I have not ceased to be a politician but I am of the view that it is about time that we begin to clip the wings of politicians so that we do not leave wide open the doors of, abuse and capricious use of the authority of the state. When men/women in uniform reach the retirement age of 60 and get to extend their stay in office out of the “mercy and benevolence” of politicians, how on earth do we expect such persons to remain loyal to their professional training and calling? When a professional police officer begins to serve on contract because the political establishment likes the face or demeanour of such an officer, does that officer not cease to be a professional, and automatically begins to wear the uniform of politicians? When a professional police officer gets his/her stay in office extended by politicians, does it not become ipso facto that such a person is no more functioning on the premise of merit; but is functioning as a result of his/her political affiliation? Having worked at the Presidency for four years, I know it for a fact that some public servants actually shamelessly “beg” for such contract extensions. So, assuming a police officer begs for a contract and his/her request is granted, will such a person not end up sacrificing his/her professional integrity on the altar of political expediency? How can an IGP who is on contract be able to stand up to the “appointing authority” political establishment, when the same “appointing authority”, is busy abusing the powers it has, and setting up illegal paramilitary goon squads? No matter how professional a police capo is; how is he/she expected to exert his/her professional competence on a power-drunk “appointing authority” that gives him/her a contract to stay at post? I ask; as a country, are we doing ourselves any good as we continue to allow politicians to have the constitutional backing of an Amendment to Article 199 as per ACT 527, to distribute contracts like confetti to their cronies and lackeys? As I write this piece, I cannot help but recall how Paul Tawiah Quaye got appointed as Inspector General of Police (IGP), without he knowing anything about his appointment. President Atta-Mills did his own independent checks after he appointed Mrs. Elizabeth Mills-Robertson as the first female Acting IGP, and when he took a final decision in consultation with the Council of State to appoint a substantive IGP, Paul Quaye was called to the Office of the President at the Castle, and given a bible to take his oath of office without any prior notice. I can still vividly see the surprise look on the face of Paul Quaye as he took his oath of office in the presence of President John Evans Atta-Mills, his Secretary, Mr. James Beebako-Mensah and myself. In fact, because there was no prior information about the swearing-in of Paul Quaye, as Head of Communications at the Presidency, I had to take a picture of the event myself and do the story before circulating to the media houses. Having done his best to serve the Police Service and the Nation, my respect for Paul Tawiah Quaye reached higher heights when the officer and gentleman that he is, Mr. Quaye turned down an offer for a contract for him to stay on after he hit the age of 60. Yes; Mr. Paul Tawiah Quaye actually turned down an offer to serve as IGP on contract. We surely have a few more Paul Quayes in the system but the question is; how many of them do we have? People join the Public Service knowing that at age 60 they will have to go on retirement yet they hide behind the amendment of ACT 527 and stay in office just to do the bidding of their politician benefactors. Sitting at the International Conference Centre in 2016 and watching President John Dramani Mahama decorate Paul Quaye with a National Award; I said to myself, “This man really deserves to be celebrated because he is a real patriot who walked out of office when his time was up and did not want to continue to serve out of the benevolence of some politicians who may turn round and destroy his record all because he may refuse to take orders from them”. It is a matter of fact that two-thirds of the Members of Parliament must vote for any such amendment to be made and as it stands now, it may be very difficult (maybe impossible) for any political party to have two-thirds majority as was the case in the 1996 Parliament (NPP boycotted the 1992 parliamentary elections) that made the Amendment. Are we not witnesses to a deluge of consensus decisions taken by NDC AND NPP MPs, when it comes to issues to do with their emoluments? If MPs can build consensus on their emolument packages, then it means that they can also build consensus on deciding by a two-thirds majority decision or general consensus, to re-look at the Clause (4) of Article 199 and see how we can all move the governance process in a much better direction by not allowing politicians in in power to have the constitutional right to award contracts to public servants who have attained the retirement age of 60. Let our MPs build consensus on such a matter and I have no doubt that they will receive a lot of praise from the Ghanaian public for doing “what Napoleon could not do”. Our Parliament can catch the attention of the world positively if consensus can be built in such a manner so as to give fresh breath to some of our suffocating ways of doing things that only make politicians look like greedy monsters who are only interested in consolidating political power for personal gain. I have run my corn aground; will it be pecked? Or it will be just brushed aside? I want to believe that under the auspices of the Atta-Mills Institute (AMI), as a nation, we can begin to dialogue on this matter and see if we can allow people who have reached the retirement age of 60, to go home and rest, and allow others to continue to serve Mother Ghana to the best of each and everyone’s ability. The Creator, created us with different talents; let not the talent of one person be forced on us all. Let our collective talents define us and give us our proud identity of being Ghanaian. I am proud of my Ghanaian heritage and I rest my case for now and hope to engage again very soon on matters of national concern. Shalom, and a Happy New Year to all my Ghanaian audience. To the rest of the world, I wish one and all a Happy New Year.